For the first match on November 10, the SCC boys arrived at the ACG all clad to the nines, perhaps anticipating an easy game, but the PCG had other ideas. It was a nail biter from start to finish, but the local boys ended up scoring the winning runs with just five balls to spare. The next match on November 11 saw Singapore player A. Beer (yes, that is his real name) contribute 50 runs for the SCC, whilst Sami Ullah bowled a great two spells (3 for 26). A confidant PCG strode out to the middle and made light work of the run chase. Simon Wetherell set the pace with a 29 ball fifty backed up by solid work from Anand Chand (34), giving PCG the victory. 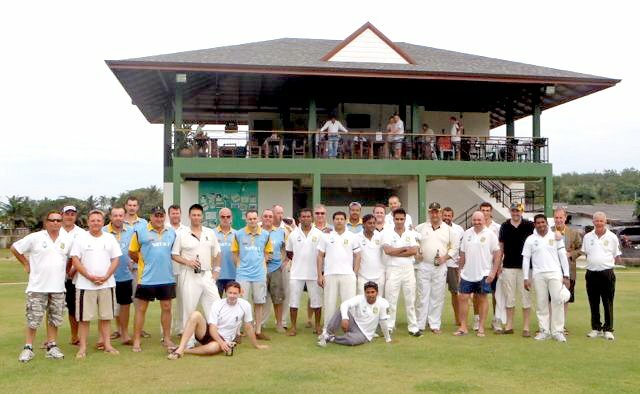 The PCG boys are proving to be a hard nut for visiting teams to crack and are quickly establishing a reputation as in-form cricketers. They split a two game series with the British Club Bangkok in late October.